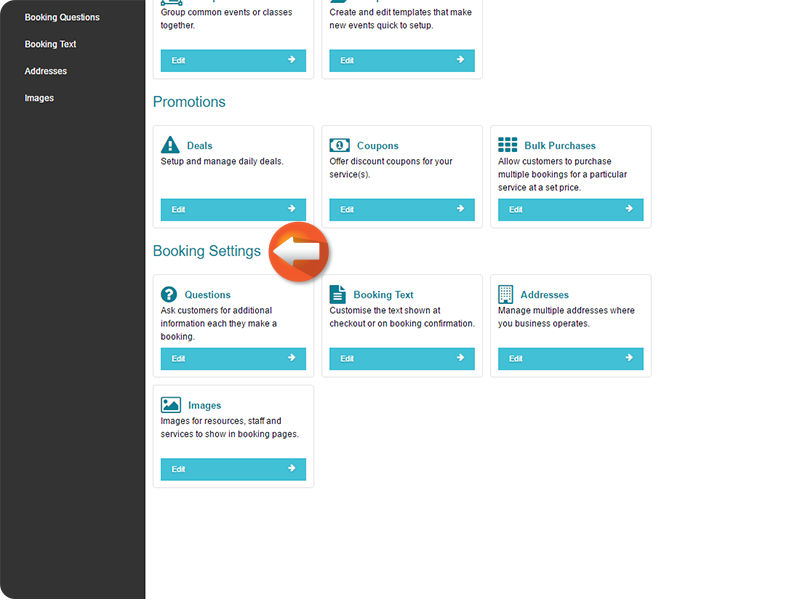 The Configure menu lets you adjust the settings of your Business' Staff, Services, Resources, and Events/Classes/Courses. 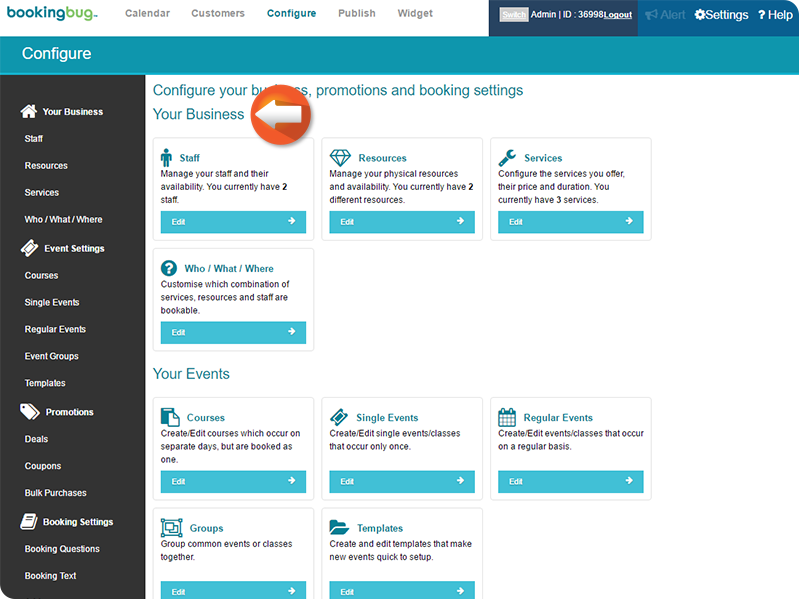 You can also create/edit Promotional deals, and set up Booking Questions to be asked when Customers make a booking for a certain Service. To access the Configure Menu; From the Dashboard, click Configure. The Configure menu is divided into four sections. 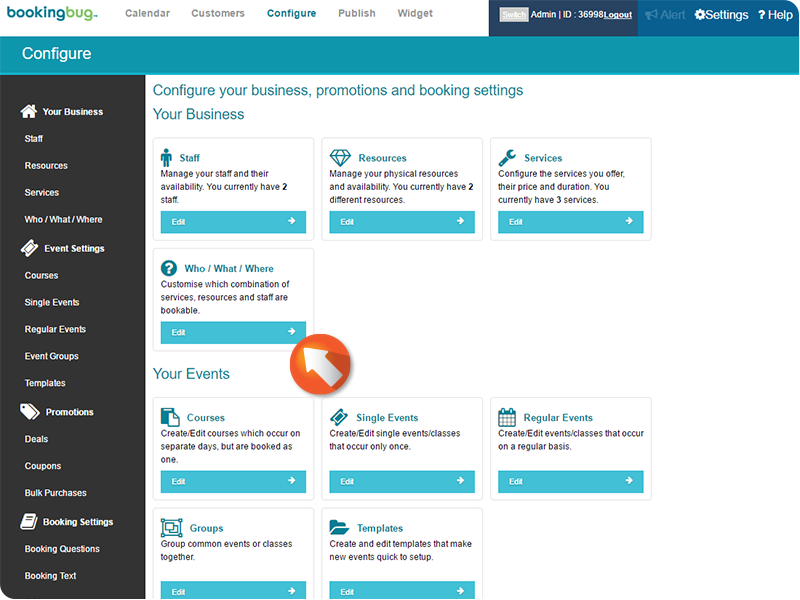 The Your Business menus let's you adjust the Staff, Resources and Services that are offered by your Business. The Who & What & Where menu will allow you to determine how items are bookable at your Business. Services can require certain Staff Members and Resources to be available, and vice versa. This menu will allow you to specify which Staff Members can provide Services, which Resources are capable of providing certain Services, and so on. This menu is the best method to automatically determine availability for Services, Resources, and Staff at your Business. 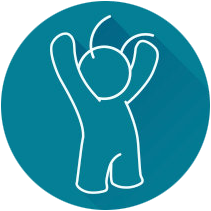 The Your Events menus will let you create and edit Classes, Courses, and Events at your Business. 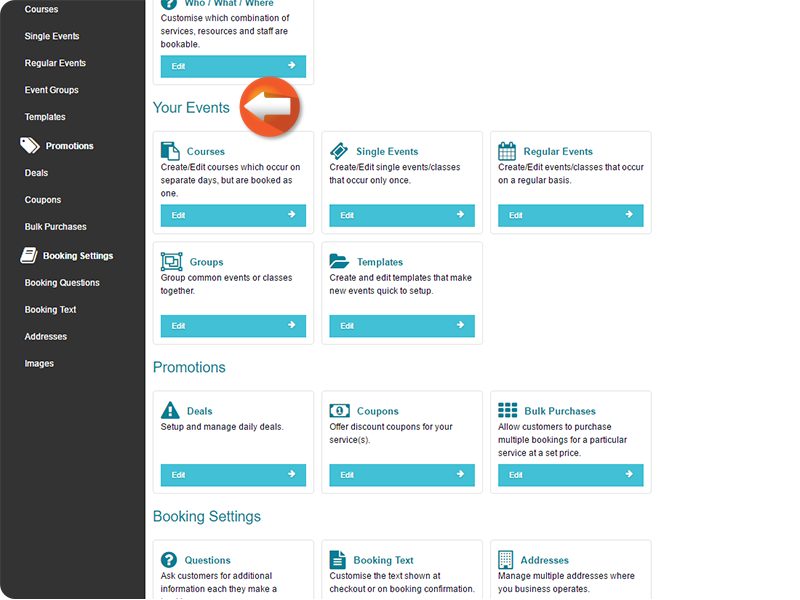 You can also create templates for Events, and create Groups to organize different Events in. The Promotions menus lets you create Coupons, Deals, and Bulk Purchase options to better market your Business offerings. 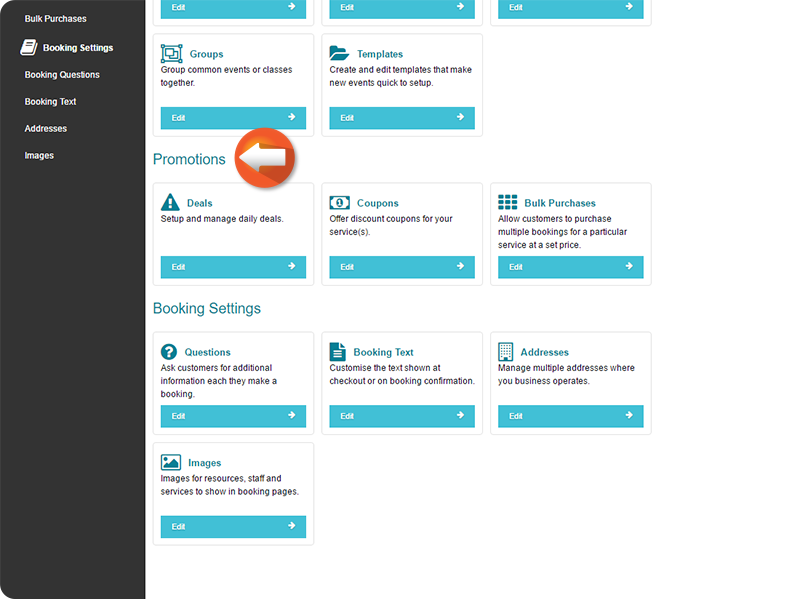 The Booking Settings menus will allow you to add Booking Questions to gather additional information about your Customers and their bookings. 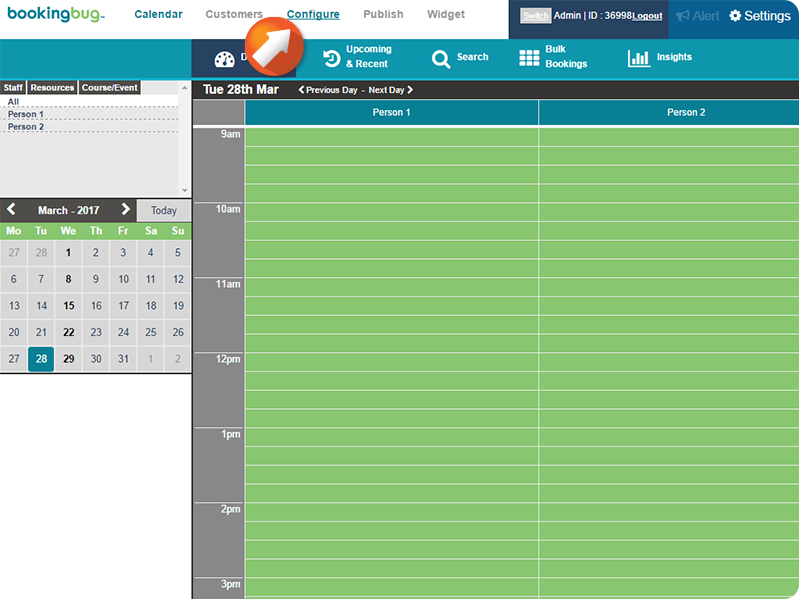 You can also manage multiple business addresses, and edit the text displayed in the widget while making and confirming a booking.